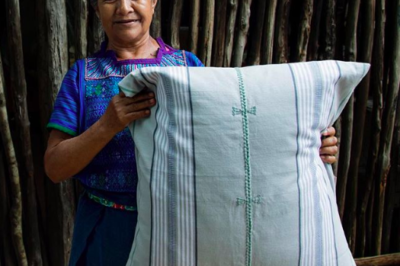 While the Artisan Guild allows Nest to bring cost-free capacity building programs to global artisan businesses equitably and at scale, the Artisan Accelerator program balances this reach with depth by engaging a select cohort of businesses in a rigorous training program designed to give artisan SMEs a springboard to growth and scale. The outcome is an ever-growing pipeline of export-ready artisan SMEs and increased well-being for workers at every layer of the supply chain. With the support of Winn Family Foundation, Swarovski Foundation, and The Staples Trust, we are thrilled to announce selection of the 2019 Artisan Accelerator class, a group of ten artisan businesses, chosen from a pool of over 50 applicants from the Nest Guild, to participate in this year-long program. Sasha Crafts (India), Studio Coppre (India), Starfish Project (China), Hacienda Crafts (Philippines), Fashion 4 Freedom (Vietnam), Casa De Los Gigantes (Guatemala), Green Design Link (Peru), Taller Maya (Mexico), Tribal Textiles (Zambia), and Khokho Collection (Swaziland), join the second class of Accelerator participants. Nest’s programming team has begun visiting Accelerator participants onsite around the world to conduct both a strategic growth assessment for mapping capacity building needs, as well as to carry out a compliance training and assessment for helping artisan business align their practices with the Nest Standards for Homes and Small Workshops. In addition to receiving all kinds of business-boosting support (like onsite fellowships from Nest’s network of pro bono consultants), this year’s Accelerator participants will also all have the opportunity to earn Nest Seal eligibility. We extend a big congratulations to this year’s cohort and look forward to the hard work, collaboration, and learning ahead!